A campaigner to memorialise Littlehampton’s suffragettes is chanelling their generous spirit to organise free holidays for those affected by the Grenfell Tower tragedy. 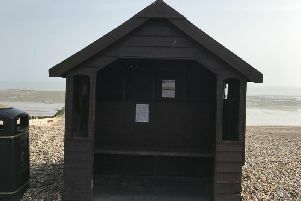 He is calling for hotel and B&B owners, Arun District Council and people with spare rooms to join him in giving the victims a place to stay and spend a holiday for free in the coming months. The pensioner is also looking to set up a fundraising page to get his idea off the ground.